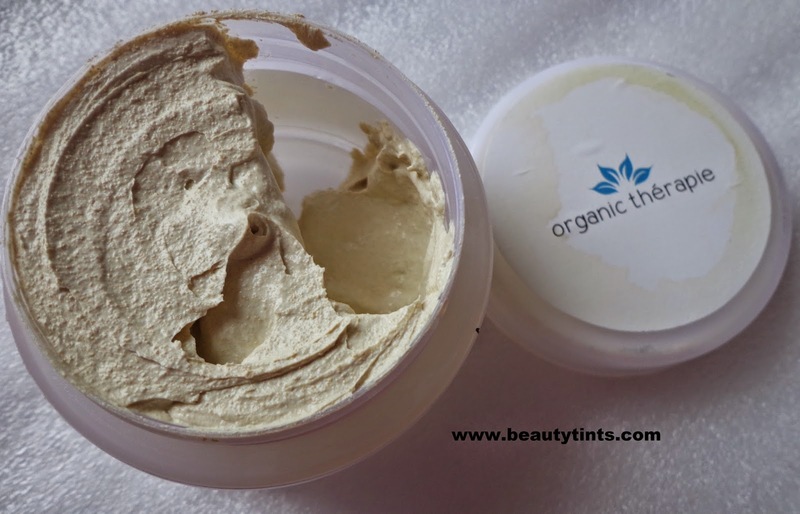 Organic Therapie Insta Clear Marks Clay Mask Review - By Sriz – Organic Thérapie Inc. 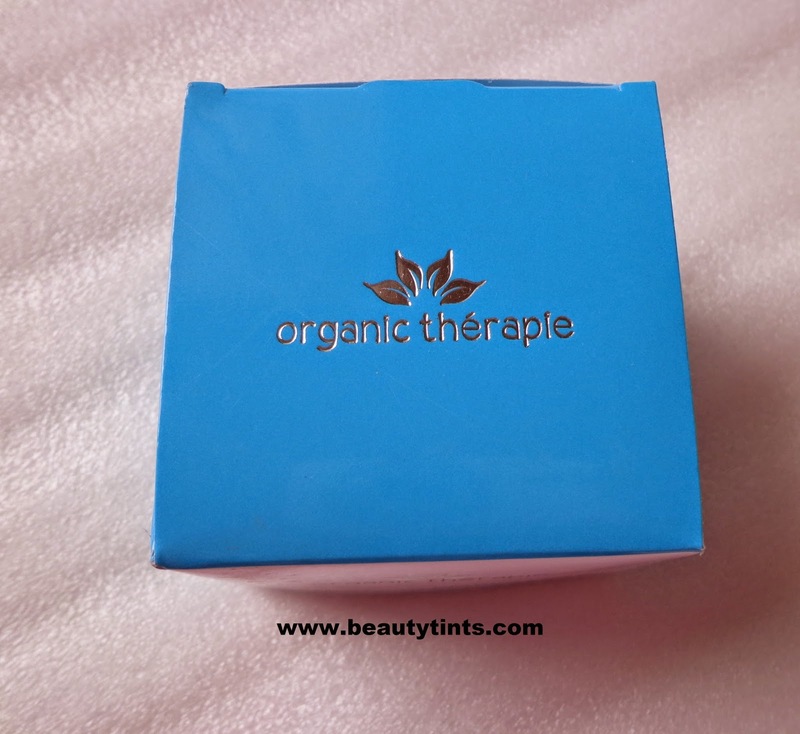 Recently I received the Organic Therapie No Marks Combo Kit containing Serum,Moisturizer and the clay mask, which I shared on my instagram page few days back..Today I am reviewing the Insta Clear Marks Clay,which is the Clay Mask meant for reducing most rigid blemishes as well as pigmentation. 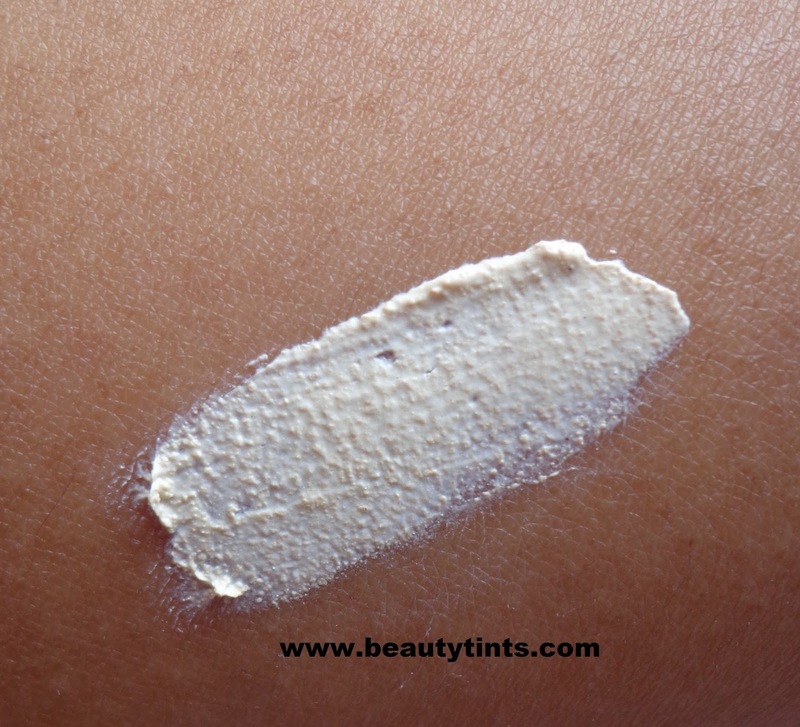 Color and Texture : This is a pale white colored thick wet pack. Availability : Available from their website,You can buy it from here and here. 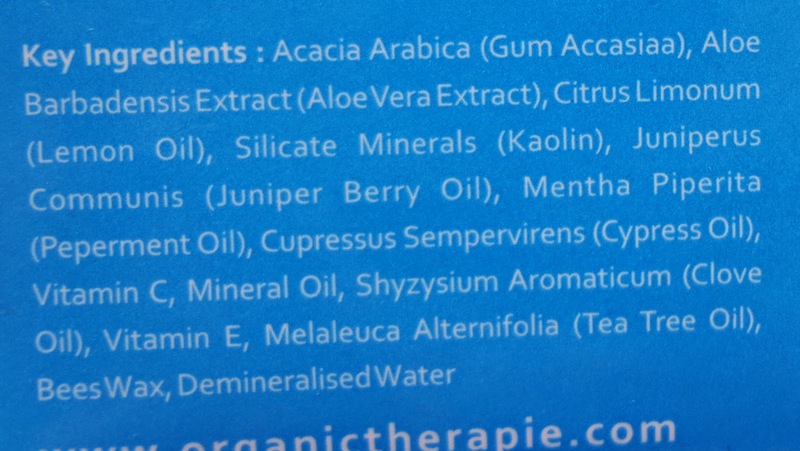 Ingredients : Acacia Arabica,Aloe Barbadensis Extract,Citrus Limonum,Silicate Minerals,Juniperus Communis,Mentha Piperita,Cupressus Sempervirens,Vitamin C,Mineral Oil,Shyzysium Aromaticum,Vitamin E,Melaleuca Alternifolia,Bees Wax,Demineralised Water. Directions for use : After Cleansing,apply a thin layer of it on skin.Leave it on for about 10-15 mins and then wash it off with water.Use Once a week. My skin was in its worst state due to the extreme dry weather and short trips on almost every weekends.First time in my life experiencing severe acne on my cheeks and the resultant marks are super irritating and annoying.I am taking extra care to get rid of them.I have changed my entire daily routine with all products related to anti-acne range and anti-marks range. 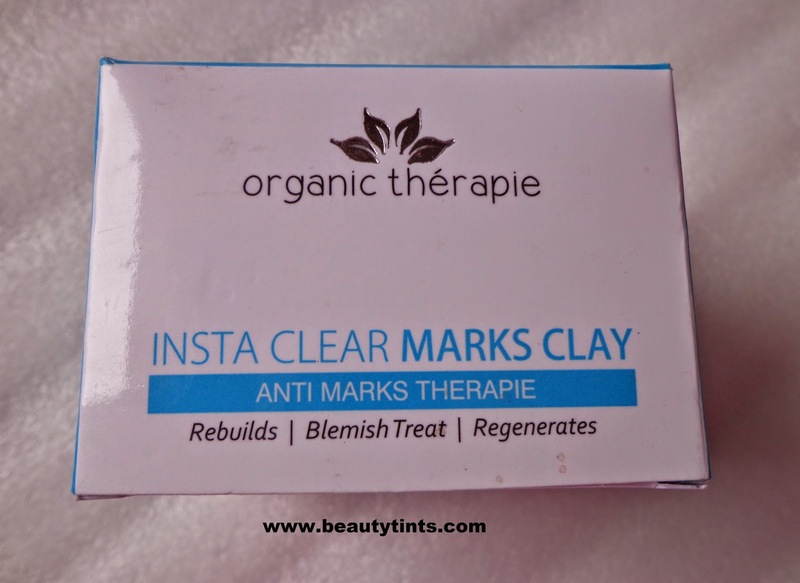 I have included the complete Insta Clear Marks range from Organic Therapie in my daily routine.I am using this Insta Clear Marks Clay Mask twice a week from 2 weeks.It helps in removing the dirt and grime from deep within and makes skin clear and radiant.It has a very mild earthy fragrance. It is a Kaolin clay based wet pack,which is very easy to apply and easy to rinse.It instantly brightens upthe face and the effect lasts for more than 2 days.It does not dry out the skin at all,may be for extreme dry skin it may be drying.It also helps in reducing the irritations and rashes on the skin as it contains Tea Tree oil as one of the ingredient.It also contains the goodness of Clove oil,Lemon oil,peppermint oil,cypress oil,juniper berry oil,aloevera extract etc.,It is free from parabens and harmful chemicals.To know how exactly it works on reducing the marks and blemishes,I need to use it for little more time,will update the post after few days. 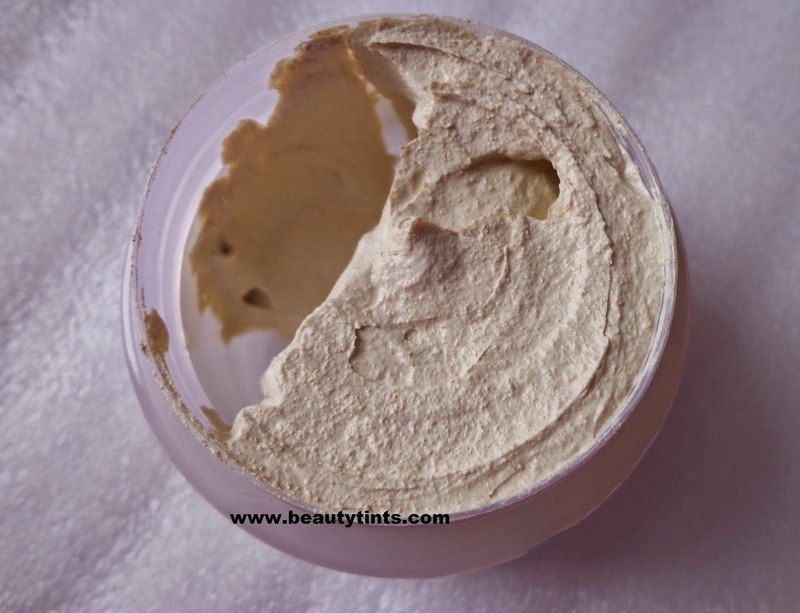 Final Conclusion about Organic Therapie Insta Clear Marks Clay Mask : A great mask for oily-combination skin which removes oiland grime from deep with in the pores and makes the skin clear and radiant,helps in reducing rashes.